It uses a cheap 15W submersible pond pump... 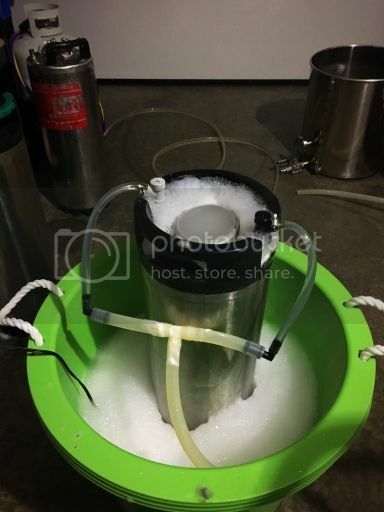 Ran it for about 12 hours to wash 4 kegs, worked great! "800l/h Micro Submersible Water Pump 15W Aquarium Fountain Pond AT-380"